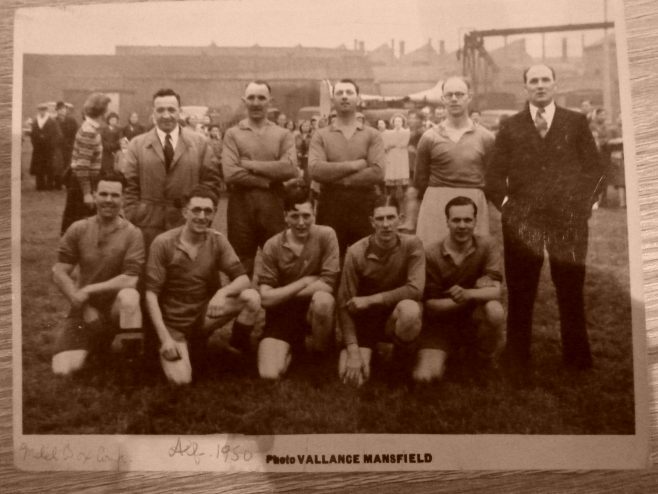 You are here: HomenextTopicsnextSportnext1950 Football Team Photo - Metal Box Company? Does anybody know any of the people in this photo? My Grandad, Alf Lines is second left on the bottom row. I always thought he was a Miner so not sure where the Metal Box Company bit comes in but he was definitely from Mansfield.